In 1984, I inherited a very large cedar greenhouse, bigger than the house we had at the time. My four year old daughter liked nothing better than toddling along to the glass house and helping herself to ripe cherry tomatoes straight off the vine. Thirty years later, she still takes every opportunity in the summer months to plunder my home grown cherry tomatoes, eating a handful like she did as a child. While I probably didn't realise it at the time, my daughter was finding an easy and delicious way to get one of her five-a-day. 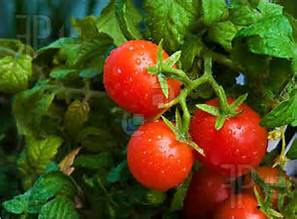 Ripe British tomatoes have a considerably higher lycopene content especially when compared with imported types picked underripe. Lycopene is what makes ripe tomatoes red and is thought o be particularly good at protecting against heart disease ad some other forms of cancer. There are lots of ways you can eat tomatoes to benefit from their nutrients. Try grilling them for breakfast as the softening of the cell walls allows more of the lycopene to escape and be absorbed in the body. 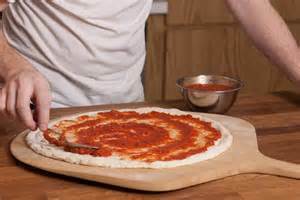 Alternatively, cook with tomato puree as it has a lower water content then fresh tomato, so the nutrients are concentrated. One table spoon of puree supplies around one tenth of the recommended daily amount of vitamin E. I add tomato puree to sauces and marinades and use it on my homemade pizzas. At the very least, why not just simply eat a handful of ripe cherry tomatoes, say six, like my daughter has for most of her life. 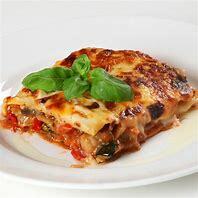 You could of course, add a drizzle of oil to them and this will increase how much lycopene your body absorbs, as it is oil soluble. 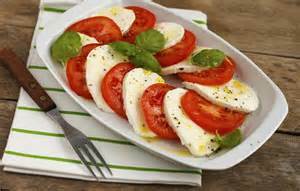 One of the reasons that I love my trips to Italy, is to enjoy the large ripe tomatoes accompanying a plate of mozzarella, with basil and a drizzle of olive oil - delicious and good for me!